They say you can’t always get what you want — unless you happen to be the Emory University Concert Choir, which received the invitation of a lifetime when asked to sing backup at the Rolling Stones concert Tuesday night in Atlanta. 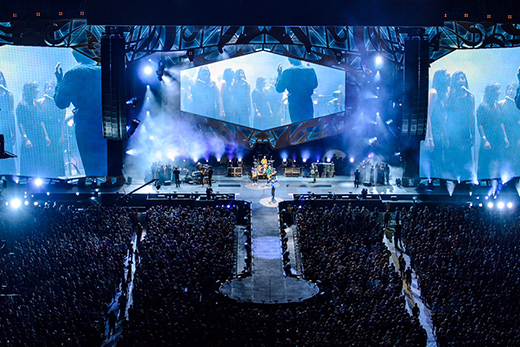 Appearing before an estimated 55,000 fans at Georgia Tech’s Bobby Dodd Stadium, a select group of Emory singers took the stage to perform the iconic choir sequence that launches the Stones’ classic “You Can’t Always Get What You Want,” one of two encore numbers that closed the sold-out show. 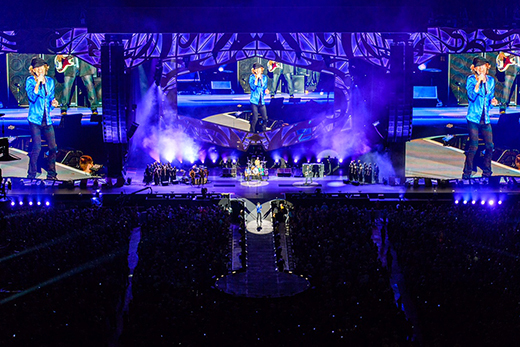 As part of their 2015 "Zip Code" North American stadium tour, the Rolling Stones typically reach out to community choirs to provide vocal accompaniment on the song. But news of who that will be is usually kept under wraps. Concert Choir Director Eric Nelson, professor of music and director of choral studies at Emory, says that an invitation to perform with the legendary rock-and-roll band arrived in March under a thick layer of confidentiality. Emory Concert Choir members didn’t realize that an invitation had come their way until around mid-April, when Nelson began dropping hints. The news was greeted with “a mixture of joy and disbelief,” he says. “We perform music of all styles and periods and varieties and pride ourselves in doing them excellently,” Nelson says. When asked if he could provide 24 singers for the June 9 concert, Nelson says he initially had his doubts. Would students be willing to return from summer vacations for the show? On Tuesday, the singers showed up at the stadium for an afternoon of rehearsals — an experience that proved a master class of sorts in how a massive arena concert is put together, says Concert Choir President Katie Boice, a rising senior majoring in psychology and music. 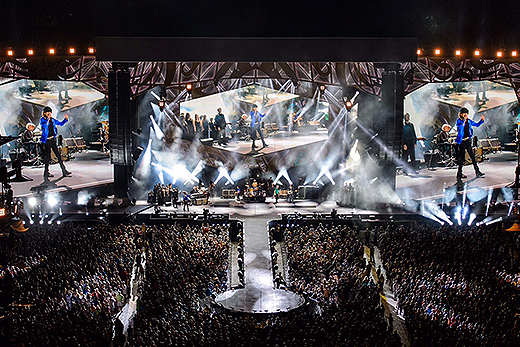 “It was so impressive to see all the people required to produce a show like this, from the sound check people to the performers, all working together like a well-oiled machine,” says Boice. Neither Nelson nor his singers had ever performed before an audience of 55,000 fans. Boice found the experience unforgettable. “Just knowing that you are part of this experience for the audience — seeing this massive crowd on their feet and screaming and just loving it. And knowing we are as essential to this song as Mick Jagger or Keith Richards and any of these famous musicians, who really do make you feel like you’re part of the Rolling Stones family, really made us feel that we were valued as artists,” she says.